Regardless of your definition of success, there are, oddly enough, a great number of common characteristics that are shared by successful business people. You can place a check beside each characteristic that you feel that you possess. This way, you can see how you stack up. Even if you don't have all of these characteristics, don't fret. Most can be learned with practice and by developing a winning attitude, especially if you set goals and apply yourself, through strategic planning, to reach those goals in incremental and measurable stages. Like any activity you pursue, there are certain musts that are required to be successful in a chosen activity. To legally operate a vehicle on public roadways, one must have a driver's license; to excel in sports, one must train and practice; to retire comfortably, one must become an informed investor and actively invest for retirement. If your goal is success in business, then the formula is no different. There are certain musts that have to be fully developed, implemented and managed for your business to succeed. There are many business musts, but this article contains I believe to be some of the more important musts that are required to start, operate and grow a profitable home business. A home business entrepreneur must always remember that marketing, advertising, or promotional activities are completely worthless, regardless of how clever, expensive, or perfectly targeted they are, unless one simple thing is accomplished--ask for the sale. This is not to say that being a great salesperson, advertising copy-writing whiz or a public relations specialist isn't a tremendous asset to your business. However, all of these skills will be for naught if you do not actively ask people to buy what you are selling. One of the biggest features and often the most significant competitive edge the home based entrepreneur has over the larger competitors is the he can offer personalized attention. Call it high-tech backlash if you will, but customers are sick and tired of hearing that their information is somewhere in the computer and must be retrieved, or told to push a dozen digits to finally get to the right department only to end up with voice mail--from which they never receive a return phone call. The home business owner can actually answer phone calls, get to know customers, provide personal attention and win over repeat business by doing so. It's a researched fact that most business (80 percent) will come from repeat customers rather than new customers. Therefore, along with trying to draw newcomers, the more you can do to woo your regular customers, the better off you will be in the long run and personalized attention is very much appreciated and remembered in the modern high tech world. You should avoid getting overly caught up in the high-tech world, but you should also know how to take advantage of using it. One of the most amazing aspects of the internet is that a one or two person business operating from a basement can have a superior website to a $50 million company, and nobody knows the difference. Make sure you're keeping up with the high-tech world as it suits your needs.. The best technology is that which helps you, not that which impresses your neighbors. No one person can build a successful business alone. It's a task that requires a team that is as committed as you to the business and its success. Your business team may include family members, friends, suppliers, business alliances, employees, sub-contractors, industry and business associations, local government and the community. Of course the most important team members will be your customers or clients. Any or all may have a say in how your business will function and a stake in your business future. When you have a problem that needs to be solved, do you seek just anyone's advice or do you seek an expert in the field to help solve your particular problem? Obviously, you want the most accurate information and assistance that you can get. You naturally seek an expert to help solve your problem. You call a plumber when the hot water tank leaks, a real estate agent when it's time to sell your home or a dentist when you have a toothache. Therefore, it only stands to reason that the more you become known for your expertise in your business, the more people will seek you out to tap into your expertise, creating more selling and referral opportunities. In effect, becoming known as an expert is another style of prospecting for new business, just in reverse. Instead of finding new and qualified people to sell to, these people seek you out for your expertise. A home business must have a clearly defined unique selling proposition. This is nothing more than a fancy way of asking the vital question, "Why will people choose to do business with you or purchase your product or service instead of doing business with a competitor and buying his product or service?" In other words, what one aspect or combination of aspects is going to separate your business from your competition? Will it be better service, a longer warranty, better selection, longer business hours, more flexible payment options, lowest price, personalized service, better customer service, better return and exchange policies or a combination of several of these? Top entrepreneurs buy and read business and marketing books, magazines, reports, journals, newsletters, websites and industry publications, knowing that these resources will improve their understanding of business and marketing functions and skills. They join business associations and clubs, and they network with other skilled business people to learn their secrets of success and help define their own goals and objectives. Top entrepreneurs attend business and marketing seminars, workshops and training courses, even if they have already mastered the subject matter of the event. They do this because they know that education is an ongoing process. There are usually ways to do things better, in less time, with less effort. In short, top entrepreneurs never stop investing in the most powerful, effective and best business and marketing tool at their immediate disposal--themselves. We're living in a time when we all expect our fast food lunch at the drive-thru window to be ready in mere minutes, our dry cleaning to be ready for pick-up on the same day, our money to be available at the cash machine and our pizza delivered in 30 minutes or it's free. You see the pattern developing--you must make it as easy as you can for people to do business with you, regardless of the home business you operate. A good reputation is unquestionably one of the home business owner's most tangible and marketable assets. You can't simply buy a good reputation; it's something that you earn by honoring your promises. If you promise to have the merchandise in the customer's hands by Wednesday, you have no excuse not to have it there. If you offer to repair something, you need to make good on your offer. Consistency in what you offer is the other key factor. If you cannot come through with the same level of service (and products) for clients on a regular basis, they have no reason to trust you . . . and without trust, you won't have a good reputation. Always go out of your way to get involved in the community that supports your business. You can do this in many ways, such as pitching in to help local charities or the food bank, becoming involved in organizing community events, and getting involved in local politics. You can join associations and clubs that concentrate on programs and policies designed to improve the local community. It's a fact that people like to do business with people they know, like and respect, and with people who do things to help them as members of the community. The ability to negotiate effectively is unquestionably a skill that every home business owner must make every effort to master. It's perhaps second in importance only to asking for the sale in terms of home business musts. In business, negotiation skills are used daily. Always remember that mastering the art of negotiation means that your skills are so finely tuned that you can always orchestrate a win-win situation. These win-win arrangements mean that everyone involved feels they have won, which is really the basis for building long-term and profitable business relationships. 21. Design Your work-space for success. Carefully plan and design your home office work-space to ensure maximum personal performance and productivity and, if necessary, to project professionalism for visiting clients. If at all possible, resist the temptation to turn a corner of the living room or your bedroom into your office. Ideally, you'll want a separate room with a door that closes to keep business activities in and family members out, at least during prime business and revenue generating hours of the day. A den, spare bedroom, basement or converted garage are all ideal candidates for your new home office. If this is not possible, you'll have to find a means of converting a room with a partition or simply find hours to do the bulk of your work when nobody else is home. The key to staying organized is not about which type of file you have or whether you keep a stack or two of papers on your desk, but it's about managing your business. It's about having systems in place to do things. Therefore, you wan to establish a routine by which you can accomplish as much as possible in a given workday, whether that's three hours for a part-time business or seven or nine hours as a full-timer. In fact, you should develop systems and routines for just about every single business activity. Small things such as creating a to-do list at the end of each business day, or for the week, will help keep you on top of important tasks to tackle. Creating a single calendar to work from, not multiple sets for individual tasks or jobs, will also ensure that jobs are completed on schedule and appointments kept. Incorporating family and personal activities into your work calendar is also critical so that you work and plan from a single calendar. The temptation to work around the clock is very real for some home business owners. After all, you don't have a manager telling you it's time to go home because they can't afford the overtime pay. Every person working from home must take time to establish a regular work schedule that includes time to stretch your legs and take lunch breaks, plus some days off and scheduled vacations. Create the schedule as soon as you have made the commitment to start a home business. Of course, your schedule will have to be flexible. You should, therefore, not fill every possible hour in the day. Give yourself a backup hour or two. All work and no play makes you burn out very fast and grumpy customer service is not what people want. It's difficult for most business owners not to take a hands-on approach. They try to do as much as possible and tackle as many tasks as possible in their business. The ability to multitask, in fact, is a common trait shared by successful entrepreneurs. However, once in a while you have to stand back and look beyond today to determine what's in the best interest of your business and yourself over the long run. Most highly successful entrepreneurs will tell you that from the time they started out, they knew what they were good at and what tasks to delegate to others. Constant contact, follow-up, and follow-through with customers, prospects, and business alliances should be the mantra of every home business owner, new or established. Constant and consistent follow-up enables you to turn prospects into customers, increase the value of each sale and buying frequency from existing customers, and build stronger business relationships with suppliers and your core business team. Follow-up is especially important with your existing customer base, as the real work begins after the sale. It's easy to sell one product or service, but it takes work to retain customers and keep them coming back. I know personally what it is like to stay motivated and sometimes you need some tools/tips to get back on track. 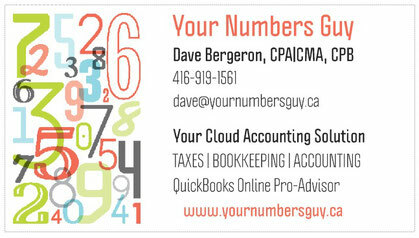 Focusing on your business is important and I can help you with worry free support on the numbers end of things.